The U.S. National Committee on Theoretical and Applied Mechanics (USNC/TAM) represents the United States in national and international activities related to the broad science of mechanics, including related sciences, engineering and mathematics. It serves as a focal point for charting future priorities in mechanics related research, applications and education. It represents the United States in the International Union of Theoretical and Applied Mechanics (IUTAM). The most recent USNC/TAM meeting was held on March 29 and 30, 2019, at the National Academies' NAS Building in Washington D.C. All six videos of the presentations from this meeting are available for viewing at https://vimeo.com/album/5894286 . 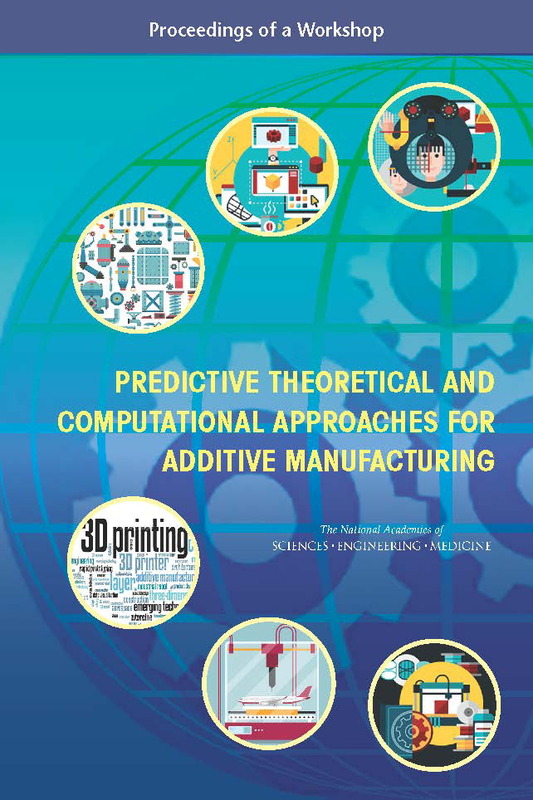 As a result of the 2015 USNC/TAM workshop, "Predictive Theoretical and Computational Approaches for Additive Manufacturing," multiple additive manufacturing events are taking place in 2018. A US-EU workshop was recently held from October 24--26, 2018 in Germany. "Integrated Mechanistic Data-Driven Modeling for Additive Manufacturing," was led by Michelle Schwalbe, NAS Director of the Board on Mathematical Sciences and Analytics. The workshop convened leading additive manufacturing experts in online monitoring, science of materials and mechanics, optimization and controls, and qualification and certification, as well as experts from relevant mathematics, statistics, and data science communities, from both the United States and the European Union. Click here to read the workshop agenda (PDF). The next event will take place in Washington, DC on November 7 and 8, 2018. The 3rd ASTM Symposium on Structural Integrity of Additive Manufactured Parts will, according to the event organizers, provide a forum for the exchange of ideas regarding the fatigue and fracture behavior of materials and components fabricated using additive manufacturing with a focus on the lack of industry standards, design principals, as well as qualification and certification criteria. This event is designed for professionals within the AM community including industrial (aerospace, medical, automotive, and defense), academic, government, and regulatory capacities. Earlier this year, an IUTAM symposium was held in Dalian, China. The October 7--12, 2018 symposium aimed to promote the interactions among top level researchers, as well as to discuss the challenging issues and corresponding solution approaches, in the area of topology optimization and AM. To view the complete symposium handbook, click here (PDF). The AM-Bench conference was held at NIST in Gaithersburg, Maryland, from June 18--21, 2018. This conference was hosted by the AM-Bench group, an organization devoted to the development of benchmark tests for validating computational situations for additive manufacturing. Brandon Lane and Lyle Levine of NIST co-chaired the organizing committee of the conference. Predictive Theoretical and Computational Approaches for Additive Manufacturing: Proceedings of a Workshop is now available for download or purchase. The most recent IUTAM General Assembly took place at Northeastern University in Boston, MA, from July 22--25. The USNC/TAM sent a delegation of five to the GA: Gareth McKinley (MIT; Delegation Chair), Wendy Crone (University of Wisconsin-Madison), Linda Franzoni (Duke University), Wing Kam Liu (Northwestern University), and Krishnaswamy Ravi-Chandar (University of Texas at Austin). More information is available on the General Assembly website. The 18th U.S. National Congress on Theoretical and Applied Mechanics was held from June 4 to June 9, 2018 at the Hyatt Regency O'Hare, hosted by Northwestern University. The 2018 USNC/TAM Meeting was held in conjunction with the U.S. Congress in Chicago, and took place on Tuesday, June 5, 2018. In October 2016, the Workshop on Predictive Theoretical, Computational, and Experimental Approaches for Additive Manufacturing (WAM 2016) was held in China. The workshop report, authored by organizers Xu Guo, Gengdong Cheng, and Wing-Kam Liu, may be purchased on Springer.com. This material is based upon work supported by the National Science Foundation under Grant Number CMMI-1446722. Any opinions, findings, and conclusions or recommendations expressed in this material are those of the author(s) and do not necessarily reflect the views of the National Science Foundation. Banner photo credit (far left): Taken from the report Damage Evolution in Stiffened Composite Structures Subjected to Variable Loadings by N.D. Flesher and C.T. Herakovich, the image is a finite element representation of the out-of-plan displacements of a stiffened fibrous composite panel when subjected to a combination of thermal and shear loading.